Facebook blew out earnings, but what can it do to keep growth going? Back in December, I wrote a piece that pained me to write. I suggested you get back into Facebook (NASDAQ:FB). It pained me because — among the cognoscenti and tech experts around which I work — Facebook is about as popular as measles. Or, given the age of my peers, shingles. But if it just met earnings estimates when it reported in January, my prediction that Facebook stock would soar would’ve been right. And despite a reputation more tarnished than a disgraced politician’s, FB’s business has not collapsed. If you listened to me, you have been rewarded. Last month Facebook didn’t just meet expectations, it smashed them. Earnings for the quarter were $6.88 billion, $2.38 per share, on revenue of $16.914 billion. Facebook did indeed soar, from $141, where it was at when I wrote about it, to a Feb. 11 opening price of $167, a gain of 18.5%. It’s too late to take that gain, so the question becomes is Facebook still cheap? In conventional terms, FB stock is now fairly priced. Its price-earnings (P/E) ratio is 22, in line with the market, and you would now be paying 8.5 times last year’s revenue. Its 2018 revenue was up 37.4% year-over-year, plus Facebook has less than a billion in debt … so what’s holding you back? For one thing, regulators still hate Facebook. The company added government risk language to its earnings report, and those risks are serious. A German ruling demanding that Facebook stop combining user data from Facebook, Whatsapp and Instagram for advertising purposes is threatening to become a full antitrust crisis. Calls to break the company up under the Sherman Antitrust Act are growing. In country after country, Facebook is being forced to censor itself by authorities. In India, it’s being told to increase fact-checking as the world’s largest democracy approaches another election. In Australia and elsewhere, it’s being accused of weakening the news media. Russia has forced Facebook to pull links to the regime’s opponents. Some three-quarters of Facebook’s U.S. users have sought to move away, either by changing privacy settings, erasing the mobile app or just taking a break from the service. The problem with Facebook is not that regulators are cracking down, but that its main services have reached their peak. Facebook now has 2.32 billion users, roughly one-fourth of the world’s population! Some 2.7 billion use at least one Facebook app. Facebook talks of wiring the planet to reach more people, but that will be expensive. Its decision to combine Facebook with Instagram and Whatsapp was made to increase reach and usage. With a market cap of $477 billion, Facebook is now worth twice as much as AT&T (NYSE:T), three times Walt Disney (NYSE:DIS), and more than 20 times CBS (NYSE:CBS). It could pick up both CBS and Viacom (NYSE:VIA.B), worth less than $12 billion, for less than its cash on hand. Facebook needs to find a new growth catalyst, and while buying a TV network would seem the obvious move, programming would also cost money and reduce margins, which came to roughly 40% of revenue in 2018. Before I’d buy FB stock today, I’d want to see where its roughly $40 billion in cash and marketable securities is going. Will it build more data centers, create new services, buy more content or hand out dividends? To be worth its present growth premium, Facebook needs to do something big and right now. 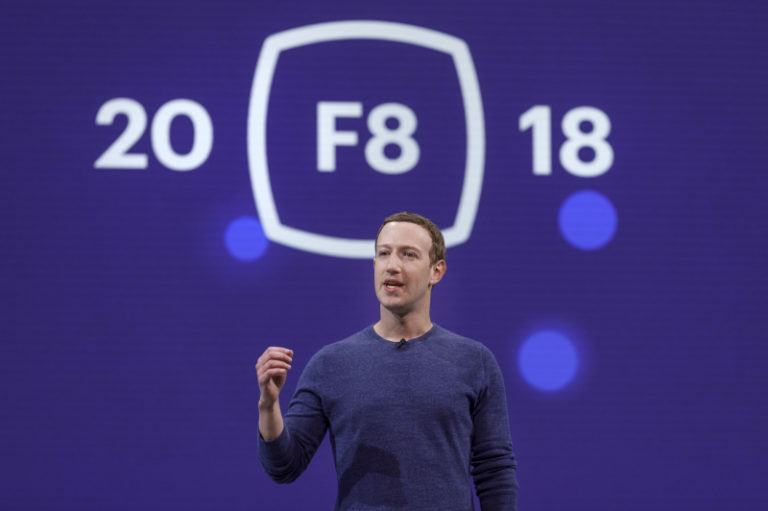 Article printed from InvestorPlace Media, https://investorplace.com/2019/02/why-facebook-fb-stock-is-very-cheap-fimg/.